Submitted by Christophe Barraud, chief Economist and strategist. At 10am EDT, the National Association of Realtors will release the Existing Home Sales for February. According to the Bloomberg consensus, EHS should rebound by 3.2% MoM to 5.10M, after having reached the lowest level since November 2015. I’m convinced that EHS will surprise on the upside due to both fundamental and transitory factors. In detail, existing home sales have reached a cyclical low in January amplified by transitory factors such as adverse weather conditions (in December) and government shutdown (which led to a delay in contracts closing in both December and January). Moderating home price gains (amid a rebound in inventory) combined with the ongoing rise in household income and the recent decline in mortgage rates have boosted housing affordability, bringing more buyers to the market. After dropping by 8.9% YoY in January, local data showed that the decline was limited in February with several regions showing strong gains such as Triangle (+13.2% YoY), Charleston (+9.4% YoY), or Albuquerque (+7.5% YoY). On average, local data that I gathered show a fall of 3.2% YoY. According to my calculation, it implies a seasonally adjusted statistic of 5.43M, up 9.9% MoM from January (which would be the largest MoM increase since December 2015). Fundamental factors have favored a rebound in housing transactions. Local data showed that inventory kept rising on a YoY basis. As a result, February’s YoY inventory increase will mark the 7th consecutive month of growth, which is usually associated with a moderation of prices increase. In the meantime, the Fed’s shift to a dovish tone has pushed mortgage rates lower by roughly half a percentage point below the peak seen in November. According to Bankrate.com, 30-year mortgage rates fell to 4.31% in mid-March, down from more than 4.80% in early November. In addition, household income kept rising supported by the increase in average weekly earnings which soared 3.4% YoY in February (fastest pace since April 2009). 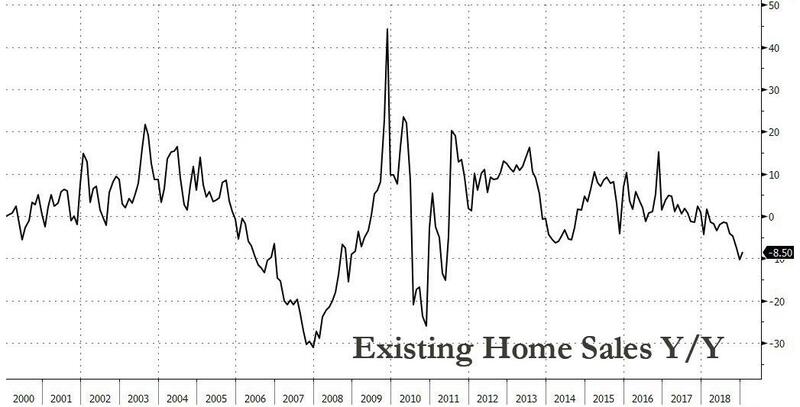 All in all, with improving housing affordability, first-time homebuyers now have a better chance of buying a home, which is a good sign ahead of the upcoming home buying season -- which typically starts at the end of March and lasts through summer -- when volume soars. Transitory factors dampened sales in January. Buyers signed contracts in December for most January sales. According to the National Oceanic and Atmospheric Administration (NOAA), “the December precipitation total for the contiguous U.S. was 3.23 inches, 0.88 inch above average, and ranked seventh wettest in the 124-year period of record”. As a result, February sales will benefit from a partial weather normalization in January. In addition, as I already noted in previous reports, the government shutdown started to affect the housing market in December by delaying the closing of several transactions. People who applied for Federal Housing Administration (FHA) loan experienced difficulties to finalize their transactions. On December 26, the Federal Emergency Management Agency (FEMA) ceased renewing or issuing new flood insurance policies while it’s a part of the mortgage-closing process in several regions. Even if two days later, the FEMA reversed its decision, several newspapers kept reporting delays in January. In addition, the U.S. Department of Agriculture (USDA) didn’t approve new loans during the shutdown. Therefore, a part of closing transactions were delayed to February.